XO Music Festival, it turns out, was too good to be true. After several performers pulled out of the XO Music Festival lineup, and multiple questions arose about organizers' ability to deliver on their ambitious Antioch event, festival venue Contra Costa Event Park issued a press release this morning stating that the hip-hop and comedy festival slated for July 13–15 has been canceled. "Due to promoters lack of fulfilling contractual obligations between the Contra Costa Event Park and World Class Entertainment, Event Park Management in the best interest and safety of our facility, event attendees and the City of Antioch have no choice but to cancel the XO Music Festival," the press release reads, directing ticketholders to info@xoxomusicfestival.com and sams@xoxomusicfestival.com for refunds. XO Festival's website stipulates that organizers can "cancel the Festival without further legal or financial obligation or liability to you, including the obligation to issue You a refund or to reschedule the Festival." However, in a July 11 email, an unnamed XO Music Festival organizer told KQED, "Our tickets provider will 100% offer full refunds to anyone if the festival is terminated." Things already looked dire in the weeks leading up to XO Fest: several artists canceled their sets, citing lack of compensation. And as of July 10, three days before the festival, the Contra Costa Event Park remained bare—with no evidence of the three stages with pyrotechnics, a color arena, a foam pit, a bounce house or carnival rides that marketing materials promised. KQED reached organizers by email on July 11 with a series of questions. In an unsigned emailed response from the festival's official email, an XO Music Festival representative declined to answer whether or not the festival would start on July 13 at noon as planned. The response also did not address whether set-up at the festival site had begun. KQED first reported on concerns about XO Music Festival in May, after concert industry blog Amplify raised several red flags. The Antioch hip-hop festival boasted an ambitious array of attractions and VIP experiences, plus a star-studded lineup featuring T.I., Ludacris and Bone Thugs-N-Harmony, with Carmen Electra and the Jersey Shore cast as hosts. After a series of public records requests, Amplify's David Brooks discovered that XO Fest's organizer Sami Habib, a.k.a. 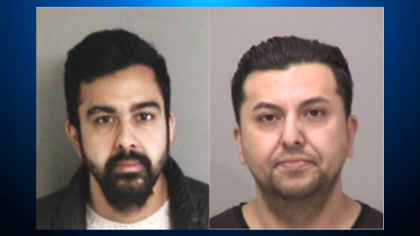 Habibullah Said Qadir, is one of two brothers currently out on bail in a Fremont rental scam case, in which the brothers allegedly moved into a series of high-end properties using falsified documents and then failed to pay rent. There were other strange details: XO Music Festival's website relied on clip art and photos from other festivals around the world, and boasted sponsors like BART and Thizzler, who later confirmed that they were never affiliated with the fest (XO Fest since removed the logos from their website). 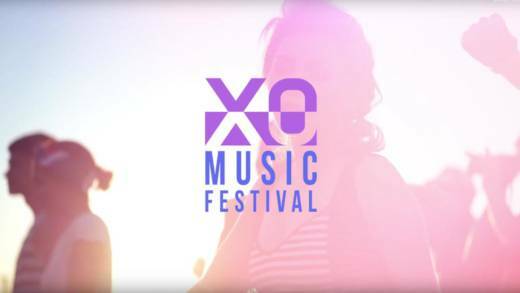 The festival also changed its name from XOXO Music Festival after a trademark dispute with an event in Portland of the same name. After KQED's May 18 story ran, our office received a phone call on behalf of XO Fest from a man who refused to disclose his identity. He suggested that KQED remove the article, but could not identify any details in the story as factually incorrect. A call from this reporter back to the phone number given went unreturned, as did a follow-up email. On July 10, KQED received an email from another unnamed XO Fest rep: "Honestly we are trying to create something amazing here, an outlet for up and coming artists," they wrote. "This is not about money! You know that festivals like ours lose the first few years. If it was about money we would be doing something else." In subsequent correspondence, XO Fest organizers and representatives continued to decline to identify themselves. Just days before XO Fest's July 13 scheduled kickoff, several artists dropped out of the event, citing bad business practices on the part of the organizers. "This was not of my choosing to not perform, but it appears that this company lead many of the artists to believe this was a legit concert, signed contracts, used our images and names (which btw was against contract stipulations) to sell tickets, but never confirmed with financial contractural agreements," wrote artist Trinere in a Facebook post, apologizing to her fans for pulling out of the fest. San Francisco band Lords of Sealand also canceled their set, though as of July 11 their name remained on the lineup. Brent Curriden of the band explained on Twitter that after initially agreeing to play for free, the band asked to be paid when several other artists dropped out. "We named our price, they told us they would send the money," he wrote. "After hounding for them for 2 months they offered less than half of what we asked." In an email, an unnamed XO Fest representative responded to KQED: "When the performer agrees to perform for free from the beginning and then raises the fee after we work so hard to promo them it’s extremely unethical. We have proof of this." Bands Will to Power and Magic! also canceled their sets. The cast of Jersey Shore and Carmen Electra disappeared from the flyers, as did high profile acts like Kid 'n Play and Rev Run of Run DMC. Nonetheless, a person using the XO Fest official Twitter account assured KPIX reporter Joe Vazquez that "honestly everything is perfect." In an email to KQED, the unnamed XO representative explained Trinere and Will to Power's cancellations: "After several attempts asking for a legitimate contract and no answer we decided to quickly remove the other 2 performers from our promotion and made a statement on social." San Francisco rapper TroyLLF, featured on Sunday's bill, sent screenshots to KQED of his email correspondence with representatives from XO Fest. He was asked to perform for free. In an email from XO Fest's Linda Rodriguez, he was told that his DJ would have to purchase his own ticket despite being part of the performance. "To me it seems super sketchy and unprofessional," said TroyLLF. "And like a money scheme." 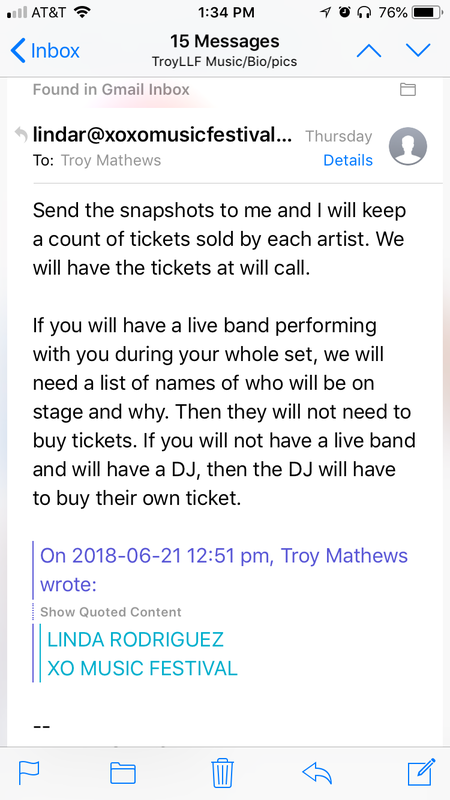 Asked by KQED about performers needing to purchase their own tickets, the unnamed XO Fest representative suggested that the DJ in question was not a "legitimate" part of TroyLLF's performance. "Artists get passes for every legitimate performer," they wrote. "When artists out of the blue request passes for people that are not DJs or performers they need to purchase tickets. It’s very clear who’s a band member and who’s not." Tony B. Conscious, an artist vendor, informed KQED that XO Fest organizers told him that vendors made $12,000 from festival booths last year, even though there was no festival in 2017. "I'm f-cking living in my van trying to save me enough money to get me a Sprinter to get out of this situation," he told KQED, "and they charged me $700 for this booth that I did not have." Tony B. Conscious informed KQED in the hours after the festival cancellation that he had gone to the Contra Costa Event Center and met with Habib, who refunded his money. XO Fest originally promised seven stages, but scaled that number down to three stages in its advertising materials. But when KPIX visited Contra Costa Event Park on July 10, they saw no evidence of any set-up in progress—no crews, no trailers, just an empty field and uncollected garbage. The XO representative who returned KQED's request for comment did not confirm whether or not set-up had begun, and ignored the question of whether the festival will begin at noon on Friday. Now we know that will not be the case. This story will continue to be updated as more details emerge.